There's a lot of love going on for our range of Mr Fox Satchels. 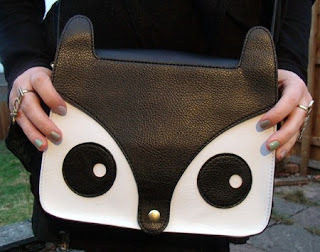 Jade from The Style Rawr blog fell in love with the black design because it reminded her of her cat. A fox or a cat - we can't get enough! (Also note Jade's AH-mazing Jeffrey Campbell boots - WANT! ).